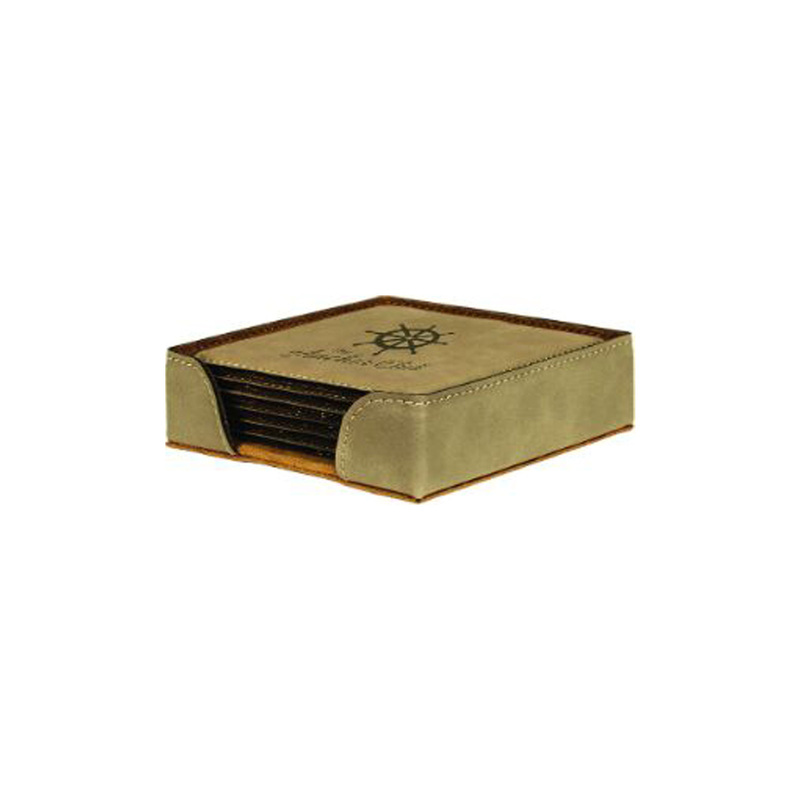 Laser engraved leatherette coaster set with 6 square coasters and holder. Beautifully laser engraved and individually boxed for a nice presentation. Makes a wonderful gift for anyone.